In Dinosaur Train, a family of winged dinosaurs (Pteranodon) have adopted a young Tyrannosaurus named Buddy. 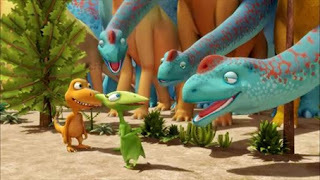 In the three-part episode Dinosaur Big City, which kicked off the second season (and which is streamable on Netflix at the moment), Buddy and the Pteranodons leave their nest to go to the big city, where a conference of Tyrannosauruses and other similar dinosaurs is being held. Buddy wants to know what it will be like to be an adult Tyrannosaurus, and figures reasonably that the best way to find out will be to talk with adult Tyrannosauruses. Dinosaur Train has a surprisingly positive adoption storyline here. 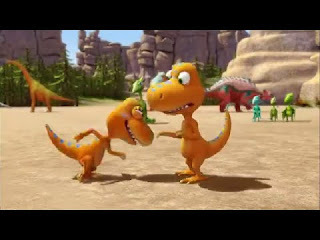 Buddy notices that he is a different kind of dinosaur than his family, and notes that the differences will be particularly important when he is grown. His mother assures him that this will always be his family, but his parents also acknowledge his need to understand what it means to be a Tyrannosaurus, and so they set off on a big trip to a frightening city to help him meet this need. Buddy’s adoptive family loves him and accepts him as one of their own, but also acknowledge his different culture and honor his need to know about it. They acknowledge that he is the only Tyrannosaurus in his neighborhood, and so set off to help him know himself better. His parents and siblings continually assure him of their love and affection for him. A song acknowledges that Buddy “didn’t look anything like” his family. That might jar some kids initially who are insecure about the differences in appearance between them and their parents. 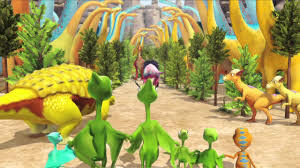 Dinosaur Train has one of the most positive adoption storylines that I’ve come across in a movie or TV show. The tone of the show will limit its appeal to young viewers – it’s very chipper, musical, and bright, but for young children around the ages of 4-7, this is a very positive series of episodes, and could be especially helpful as a reference point for early acknowledgements of cross-cultural issues. If you’ve got kids under age 7 or so, check it out! Why did Buddy want to go to the Dinosaur Big City? Why is it important for Buddy to know other Tyrannosauruses? The Pteranodons are Buddy’s family – how can you tell? This was my first experience with it, but I was surprised how positive it was, too! My wife and I recently adopted three children who happen to be black. 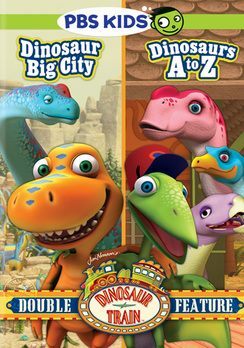 Our preschool boys love this show mostly because talking dinosaurs, but my wife and I love the show because of the trans-racial (trans-species?) adoption aspect of the show, and how it relates to our own family. Color doesn't make you family. Love makes you family. While there are things that my wife and I didn't or don't have first-hand experience with to teach our children (skin and hair care, cultural history and identity, etc) we do our very best to help our children connect with their heritage with the help of our friends, coworkers, hair stylists, etc. The Pteranadons helping their son Buddy find out what it is to be a Tyranasaur mimics the journey that trans-racial families like us take to help our children understand how they fit into the world.